Inside the Gulf – Part 3 – This series of articles will explore several major projects taking place in the Persian Gulf countries. As the United States takes more of an “America First” approach towards foreign policy, China is looking to step in to the potential void left by the US as the dominant world power. Seeking to asserts its global influence, China is now investing in many places outside of the mainland. This includes extensive investments across the Middle East, Asia and Africa as part of its Belts and Road Initiative. The Industrial City will be a 6.8 square mile (11 square kilometer) district that will be part of the greater Duqm Special Economic Zone (SEZAD). SEZAD was created by royal decree in 2011 by the Sultan of Oman to create the largest economic free zone in the Middle East. It stretches across 1104 square miles (1,777 square kilometers) and is comprised of 8 zones which include the industrial zone, fisheries zone, logistics zone, sea port & dry dock zone, residential zone, central business district, tourist zone and education zone. The Industrial City will include a multitude of heavy industrial projects such as an oil refinery, a methanol plant, a solar energy equipment manufacturing facility, an automobile assemblyfactory, and an oil and gas equipment productionsite. The Chinese consortium of Ningxia China-Arab Wanfang has committed to developing at least 30% of the project by 2022. All of the financing will come from private Chinese firms as opposed to the Chinese state. The financing for construction will come from Chinese banks, with each individual facility being financed by the company building it. Inaddition to industrial facilities,the project will also include housing for 25,000 residents, schools, offices, a hotel and hospital. This investment in Oman is a part of the Maritime Silk Road component of China’s Belt and Road Initiative (BRI). The BRI is a multi-trillion-dollar initiative with the goal of increasing Chinese trade with countries across Asia, the Middle East, Africa and Europe. 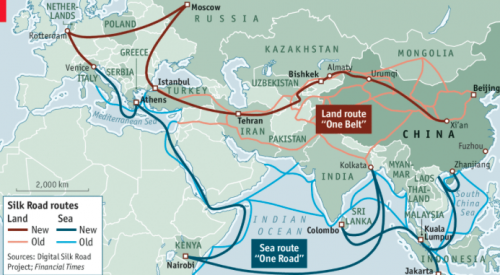 It is comprised of two essential components, The Economic Belt which stretches across land in Asia and the Maritime Silk Road that connects China with countries in Southeast Asia, Africa, and the Middle East via the sea. 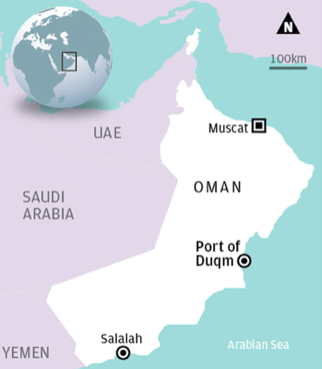 The Industrial City in Duqm provides China with a strategic location for the transportation of goods by providing a maritime midway point between China and the rest of the Middle East, East Africa and Europe. The project is also beneficialfor Oman. Due to falling oil prices, the country is expected to run average fiscal deficits of 11% of GDP over the next five years, leading to struggles to fill funding gaps. According to BMI Research, the additional help from China will help accelerate the growth in construction in Oman from 2.9% in 2016 to 4.9% in 2019. 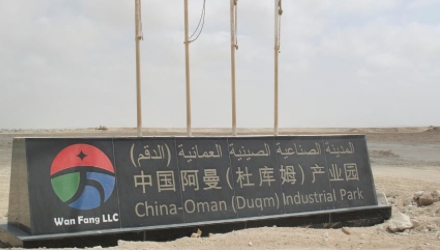 Duqm is just one of China’s substantial investments in the Middle East. In 2017, China became the region’s largest foreign direct investor with investmentsof nearly $30 billion. The Middle East received $92 billion in foreign investment with China accounting for nearly a third of that, compared to only $6.9 billion from the US. 2016, King Salman of Saudi Arabia traveled to China to meet with President Xi to discuss the cooperation between the two countries. 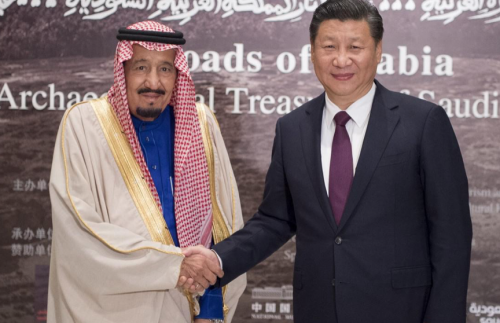 Also, in 2016, Beijing published the Arab Policy Paper which outlines the vision for an increased long-term relationship between China and the Gulf states. Increased relations with China is highly advantageous for the Gulf states as the US becomes less of a guaranteed market for Middle East oil. China is now the world’s largest oil importer. Therefore, it is strategically sensible for the oil producing nations of the Gulf to develop stronger ties with China. The US relationship with regional powerhouse Saudi Arabia was reduced during the Obama administration as President Obama choose to take a more moderate relationship with Iran. Although President Trump’s first foreign visit as president was to Saudi capital of Riyadh, he has yet to name a US ambassador to Saudi Arabia, which is historically vital US alley. With the potential shrinking of American global influence, the stage is set for China and the Middle East to develop increased relations. Historically both region’s economies have depended on significant investments in the US and other Western countries. Now, both China and the Middle East are looking inward to bolster their economies through development. With these increased direct ties between the Middle East and China, American investors may be left seating on the sidelines. This movement into the Middle East could also be just a sample of the level of investment that China is willing to make to project itself as the world’s next superpower. 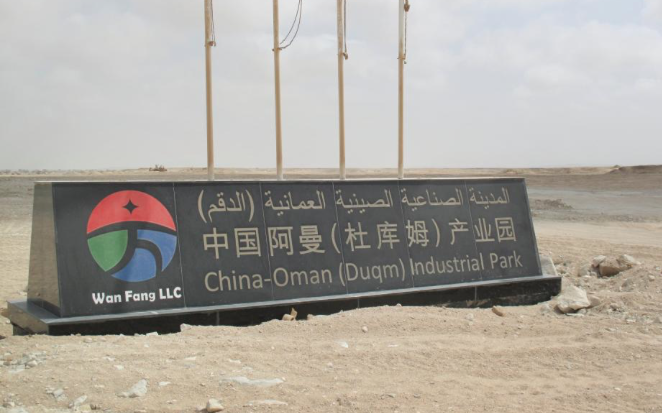 The Duqm project may be just the beginning of investments in the Middle East by China. If the Belt and Road Initiative is successful, China will have increased relationships with countries across, Asia, Africa and Europe perhaps making it more of an attractive partner for investment than the US. To read the previous articles on this series, please see the links below.